Crossway’s “Theologians on the Christian Life” series has been excellent so far. And it’s about to get even better. John Bolt has just delivered the latest volume Bavinck on the Christian Life: Following Jesus in Faithful Service that’s the bees knees. I had the privilege of reading an early copy this spring and endorsing it. If you’ve been wanting to get into the Dutch giant, but you’ve been too intimidated by the size and scope of his Reformed Dogmatics to know where to start, this is an excellent introduction to his thought. 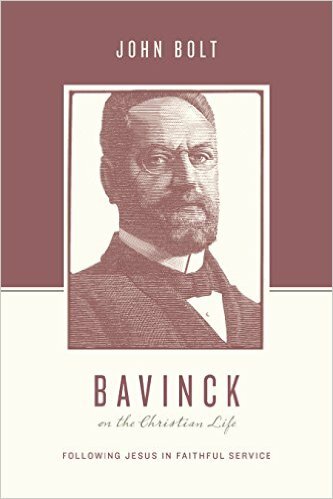 Bolt gives pride of place to Bavinck’s own words and so you get a bunch of Bavinck himself, not only commentary on him. Though, if you have read him, it is excellent commentary that will help bring out dimensions you might have missed, especially since Bolt draws on works other works beyond the Dogmatics that have yet to be translated. Beyond that, it’s just an edifying work.